Desperate to save the boy who's come to mean everything to her, Cassandra must find a way to change history… or risk losing Lawrence forever. I love time travel stories, so I was super pleased when this book showed up unexpectedly in my mailbox. I read this one earlier this year and loved it, but never posted my review, so here it is. 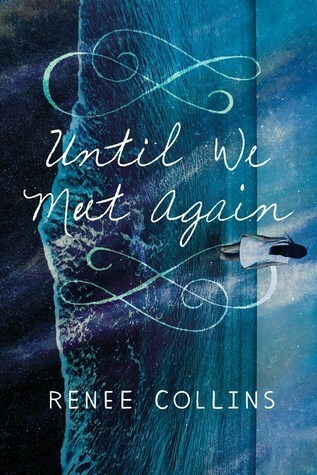 If any of you are YA fiction fans, especially of time travel, this one is well worth the read. Cassandra is 17 and reluctantly spending the summer with her mom and stepfather at his beach house. She's angry, bored and restless. When she meets a stranger one evening on her house's private beach during a party, he seems to stir up something in her. It turns out Lawrence is actually from 1925. As they figure out how to spend time together, they both realize that their interactions cause a ripple effect through time and change people's existence. Their growing love is doomed but worse yet, Cassandra does some research and discovers Lawrence is to be murdered in two weeks time. They try to figure out how to prevent this from happening. At this point I'm racing through this book because I'm dying to know what happens. There are unexpected twists and I was pleased with its realistic ending. It was also refreshing to read a book that was not a trilogy in the time travel genre. I found this book thrilling, suspenseful, romantic and unique. The contemporary beach setting from Cassandra's world with the Gatsby-era 1920s glamour of Lawrence's world made the time-travel element exciting. Their double-dilemma of not being from the same century and knowing one of them was to be murdered added danger and suspense to the plot. The story alternates from both Cassandra and Lawrence's point of view, which was great. The author succeeded in capturing the voices of both the characters, one contemporary and the other from the past. I think this book would translate well into a movie. I also like the book cover. It suits the story so well. This was a satisfying read, a captivating story that was perfect to escape into. Renee Collins grew up on a beach in Hawaii. Sadly, she never met anyone from the past on those shores, but she did go on to get a degree in History, which is almost the same. She currently lives in Colorado with her family. 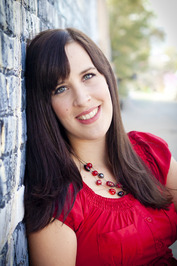 Visit her at www.reneecollinsauthor.com. I haven't read a lot of time travel but do enjoy time travel movies so I think I would like this. I don't usually enjoy time travel books, this one does sound really good. I bet my daughter would like it!